Madonna returned to the charts with a vengeance at the start of February when she dropped her brand new single 'Give Me All Your Luvin', which featured both M.I.A. and Nicki Minaj. The track serves as the lead release from Madonna' 12th album 'MDNA', and will be followed by the equally hyped 'Girl Gone Wild'. 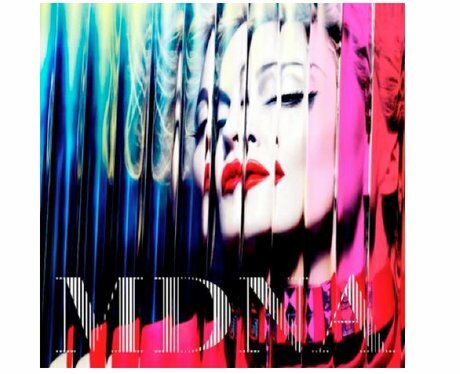 Fans of the 'Music' singer will be itching to get their hands on 'MDNA' ready for the start of Madonna's 90-date world tour which kicks off in May. Release date: 26th March.